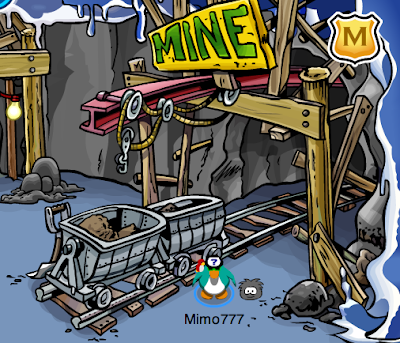 Club Penguin Cheats by Mimo777 Club Penguin Cheats by Mimo777: Club Penguin Cart Surfer Update! 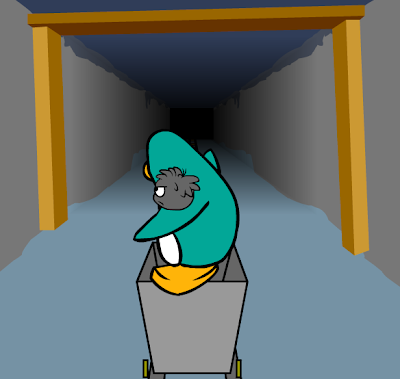 Club Penguin has fixed the bug with the Cart Surfer and now you can take your black puffle in the game with you. Saweet! The black puffle can do lots of cool tricks in the game and help you earn the new Cart Surfing stamps! Have you played Cart Surfer with your black puffle? I wonder what the next game will be that Club Penguin adds puffles to? What is your guess? Cool things going on at TOOTSVILLE! Check it out now! awesome i hav about 10 of the 12, and the black puffle thing rox, i hope they bring the orange puffle into a game that would be so cool! hey mimo i just earned all the stamps for cart surfer just now! im so excited ive never completed a stamp section before! Yo! Mimo! Do you know any special trick on Cart Surfer? If you do, please share them with us! Can you share some awesome tricks on Cart Surfer with us? Earning the new stamps was TOO easy! Every game will have a member feature... wait.. did that already happen? I got every cart surfer stamp!!! I also have all the aqua grabber stamps!! nooooo! my black puffle ran away when i was a member then my membership expired and i didn't get a new puffle! They should let your black puffle play Card Jitsu Fire with you (Whenever he eats o-berries he gets fiery). I'm hoping they will come out for non members too... The black puffle should also be in Sled Racing and melt the snow for your opponents. The white puffle should be in Sled Racing to make snow or ice if they use a black puffle on you. They should also make a new game and in it you aim snowballs at targets and the blue puffle could help you (So it is fun for nonmembers too). I think that the orange puffle can help you with bean counters. Mabye he could eat some of the obstacles or the blue puffle could obunce java bags on his head so the wouldnt fall down!That would be phun PS mimo i was at your webosaurs party FLAREBLITZ and i didnt get my MVA chair plz help. Did you also notice Sensei comments on your Puffles in the fire dojo? I don't get the Stamp that says u have to do 14 different tricks. I don't even know there were 14 tricks on Cart Surfer! Can someone explain what the Stamp means AND leave a list of all the Cart Surfer tricks? Thanks. Good Idea! Battle of the puffles in sled racing would be fun but it would make it harder for the non members :(. The target games is a good idea though it could be in the snow forts. Nice thinking. Mimo you're amazing, thanks for your amazing cheats. You make CP alot more fun for me. I hope they bring out white sled racing games with puffles; like someone said below. That would be saweet! I have have all of them but the 250 coin one, the 350 coin one and the backflip one. how did you get a black puffle it you arent a member? Hey Mimo you know that when you do some tricks you used to turn yellow and now you turn yellow and there's a black puffle on your shoulder! I just played Cart Surfer with my Black Puffle, and it's so cute!